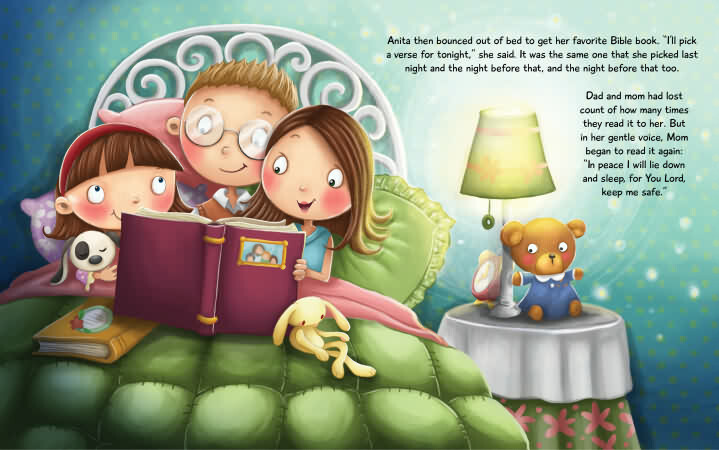 A story about facing fears at bedtime and in the dark. Anita hears and sees some strange things in her room while trying to go to sleep. But with the comfort of God’s Word and His reassuring love, she gains the courage to investigate and find out what it is that is making her feel afraid. 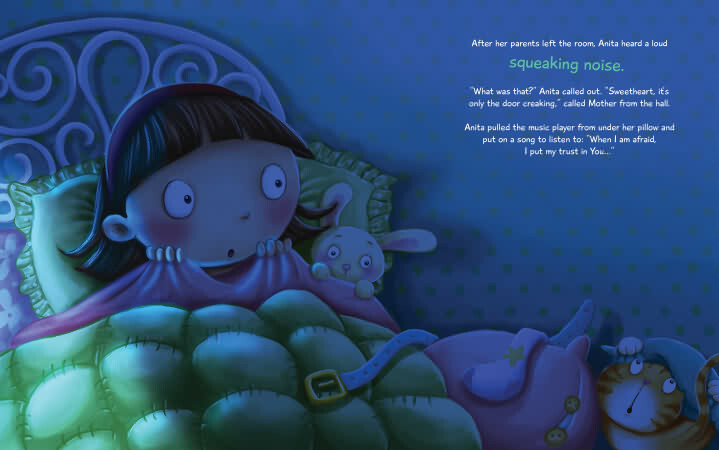 How many children are afraid of sounds that go bump in the night? 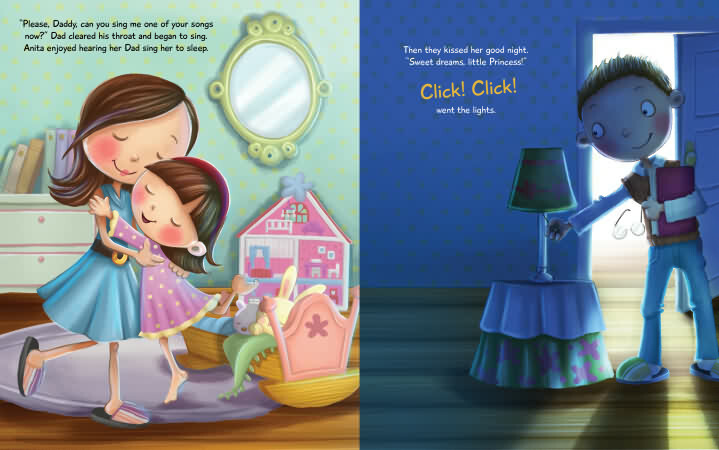 This story takes children alongside a little girl who is afraid of the dark and the scary sounds they hear at night. 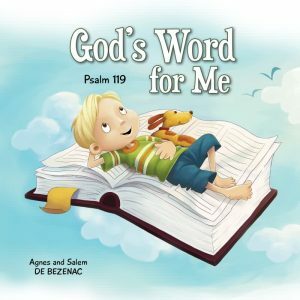 Throughout the story, Bible verse phrases are given to help calm the child’s fears until she realizes the sound she is hearing is a family of birds outside her window. My favorite part of the book is the end, however. 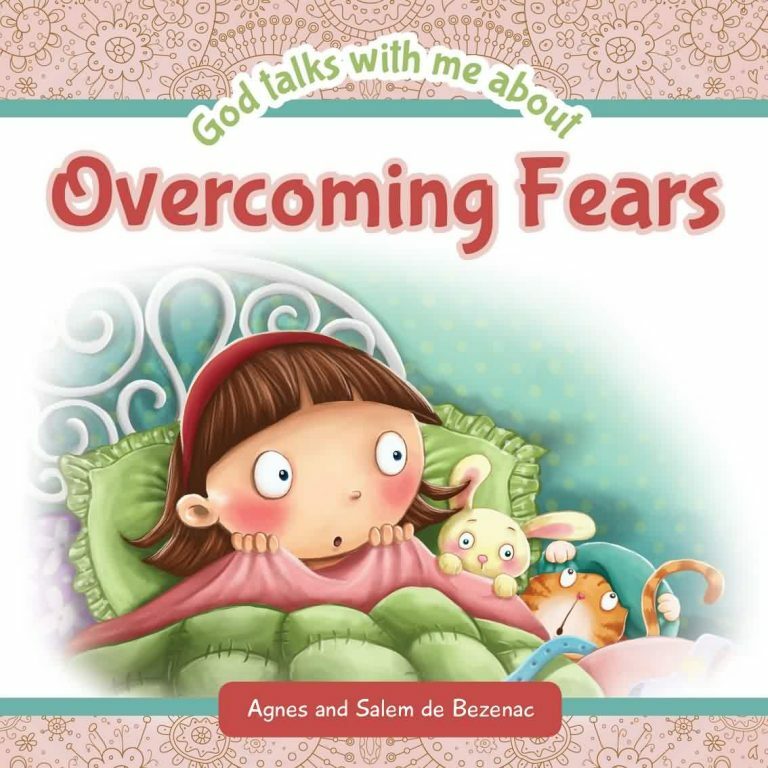 The author devotes an entire page to giving the references and Scripture to the verses given in the story, another page for conversation started to help children express their fears, and a final page with ideas for 4 activities to help children overcome their fears. Values made fun. 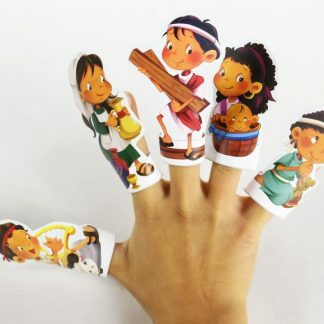 © iCharacter Ltd.